MHI :: PASADENA :: STAFF :: Ken Cervera, B.A., N.A.S.M. 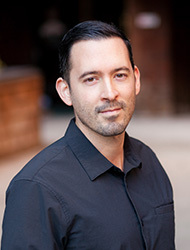 Ken Cervera is the Director of Wellness for Mind Health Institute, Pasadena, and certified trainer & nutrition specialist with the National Academy of Sports Medicine. Having completed his undergraduate degree at Emerson College in Boston, he has extensive experience training both specialized & at risk populations, as well as elite level athletes for competitive environments. His unique approach to integrated fitness & nutrition has led to a long & successful track record of sustainable wellness & health for all of his patients. As a competitor for the Wod 4 Warriors and Fight Gone Bad series, he's been actively involved in numerous fundraising efforts for cancer research & post traumatic stress disorder. With a passion for working with high-risk populations, he was program director and head coach for the “SolLife Training Program” at Cedars Sinai Hospital, which successfully integrated customized training methods & sustainable nutrition plans for employees at risk for diabetes & coronary heart disease. As a certified CrossFit Level 2 Coach & Integrated Injury Prevention trainer, he is passionate about helping others push beyond their mental & physical limits. In addition, he is an active competitor in the CrossFit Open, NLI Iron Will Series, & several elite fitness competitions across Southern California.